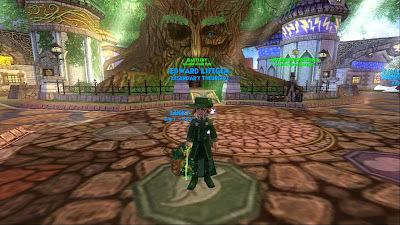 Today is the day of the Ravenwood Ball/ Birthday Bash! Finally the day has arrived, now to wait for the hour. A little while from now, but I am already getting ready to arrive there about 1:00 p.m. So, I am not doing a boring blog post today! So what I am asking is, are you ready? I sure am! 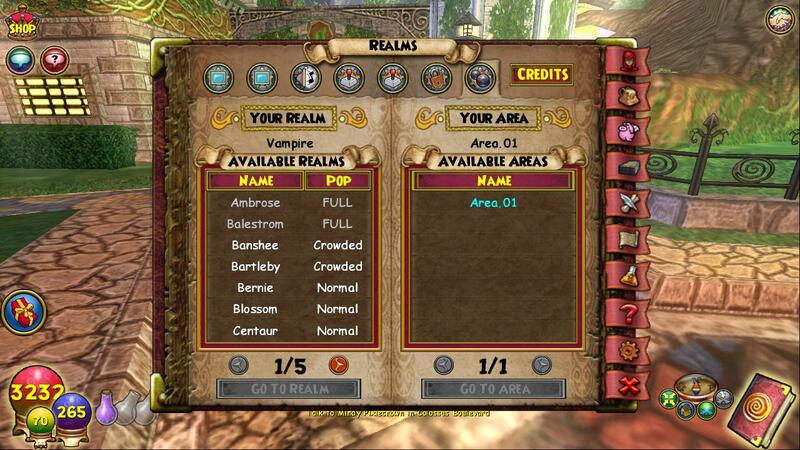 I am already in the realm, I am getting ready to go help Blaze Shadowhorn- who is hosting a mini party- farm for gold so he can buy more housing items! Mark Stormhunter who is also hosting a mini party is coming with us! Make sure to attend their mini parties since not everyone can fit into Ravenwood. 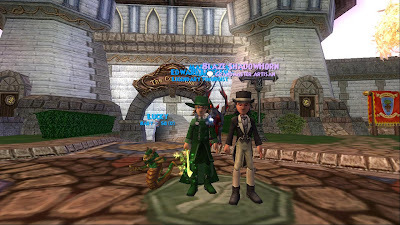 So instead of posting some of my blog post tomorrow I am going to show you some photos I have on Wizard101 when I first went online this morning. 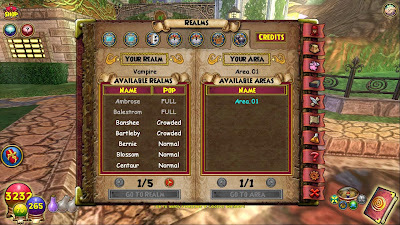 Now don't forget the party will be in Ravenwood Vampire, Realm one. There will be mini parties that other wizards will be having, because not everyone can fit into this realm, I should know that from last year! My outfit to the ravenwood ball, I also have another one on my balance, I can't wait! Apparently lucky- my pet- can't either! Also, don't forget to wish Diary of a Wizard happy birthday! Since I didn't get to say it: HAPPY BIRTHDAY DIARY OF A WIZARD! I can't even know what to mention only that this will be fun and I will get to add other wizards there! Also, I am glad I get to join the second one, thanks to Mary Dreamshade, I attended the first one, I didn't really know anyone though, which was annoying. Didn't have anyone to talk to there! I am glad I do know more wizards this year and I am glad that I have made so many friends since then :) Now, for the poll, I have 3 no, and 1 yes for you all seeing me at the Ravenwood Ball last year. Now the only yes- was from me! Rofl, then again I was shy and I was hiding next to the life school during this event. Last year the game crashed. I hope windows 7 helps for the game not to crash this year, what would make me mad is me losing connection or something and not being able to get back to the realm or mini party, wouldn't that make you all mad? I can't wait and if you see me at the party say hi! Sorry I don't really recognize names anymore because I have added so many wizards on the game and also followers on here. I will add you, if I can't its because my buddy list is full. Hopefully I can though. Right now most of my friends on my life character is from Twitter. So just say hi to me and I will be glad to add you, don't forget though, ask nicely :) Well this was a long post I think, so I am going to end it. I hope to see you all there at the Ravenwood Ball/ Birthday Bash, and see you there in Ravenwood or at a mini party! Bye wizards!